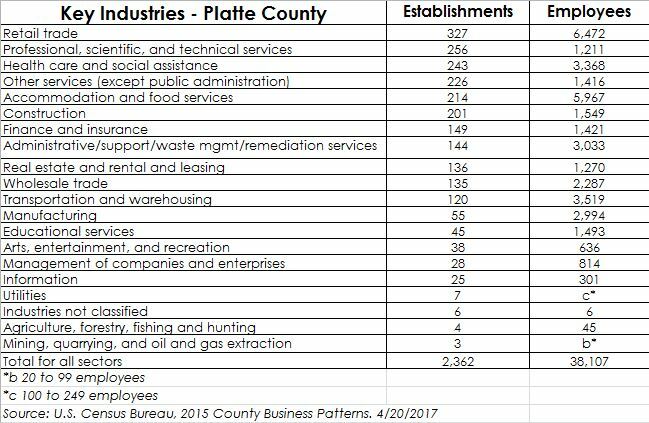 Platte County is one of the metro area’s employment hubs. The KCI Corridor is home to many of our major employers and the area runs along I-29 from the KCI Airport to 152 Highway. Additionally, the City of Riverside and its industrial boom in the Horizons Business Park have led to 2,500 new jobs since 2011. 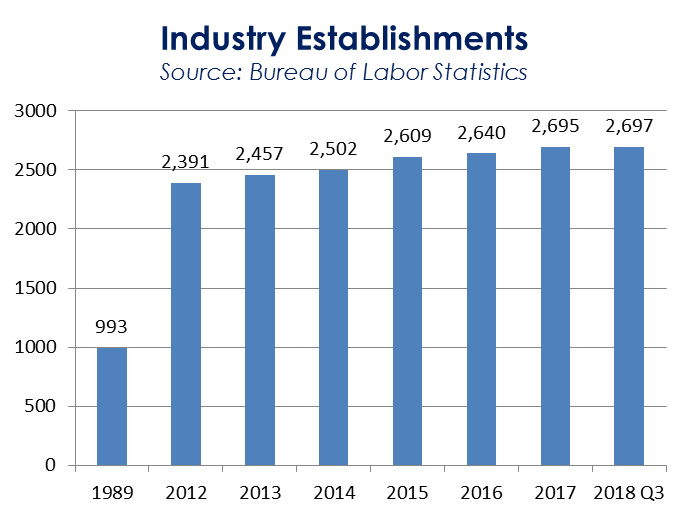 Parkville and Platte City have also seen a growing number of companies locating in their communities in recent years as the overall number of industry establishments continues to grow.